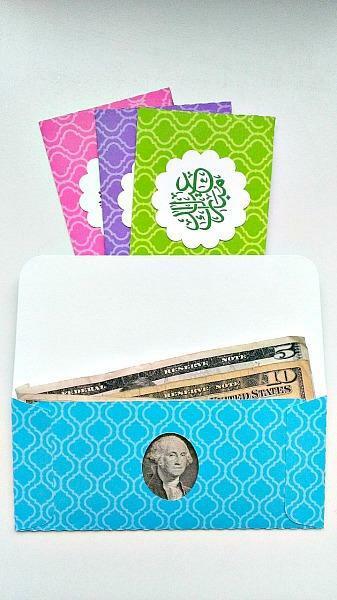 These beautiful arabesque Eid money envelopes are embellished with a white scalloped Eid Mubarak (Blessed Eid) tag. 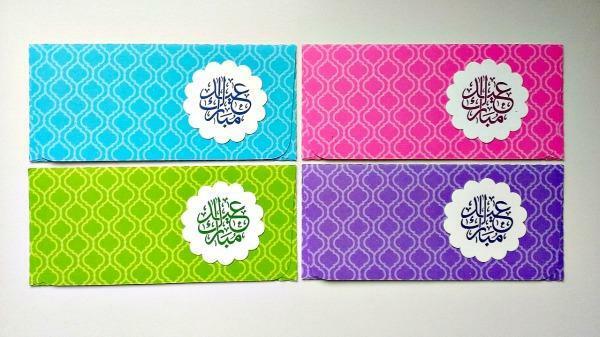 They are perfect for a gift card teenager, eidyah for young children, or to discreetly give to your hostess to cover your portion of the Eid party at the community center. 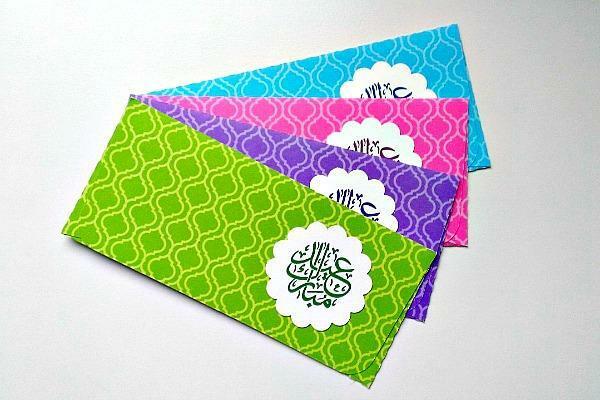 Eid is the Arabic word for festive or festival. 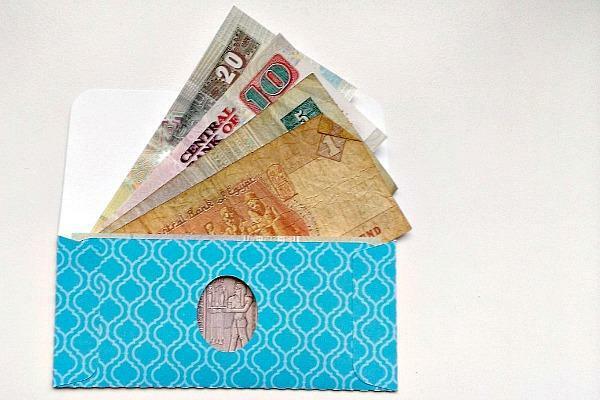 There are two major Eids on the Islamic calendar and buying new clothes and distributing Eid money (Eidyah) for the young kids in the family is one of the key aspects that make children love Eid. 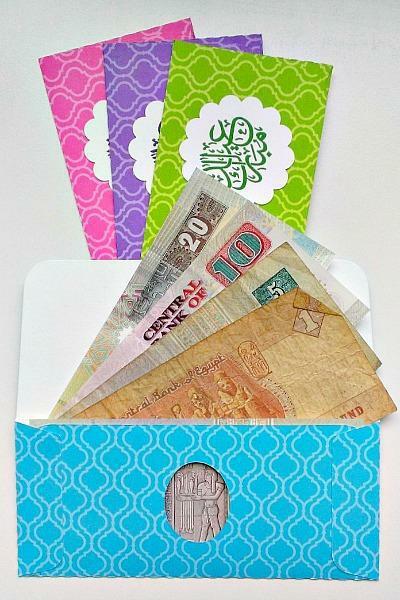 The children use the Eid money to buy toys and sweets. 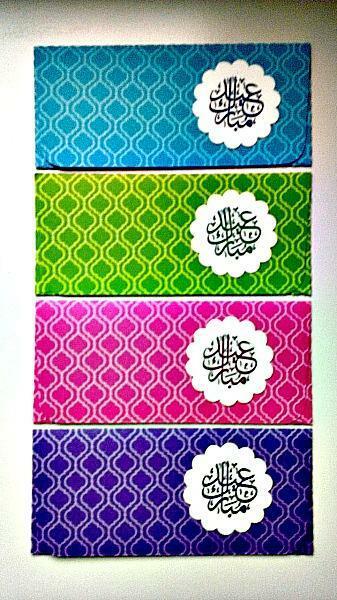 Envelopes are made up of 65# handmade paper and have an arabesque design in various colors. 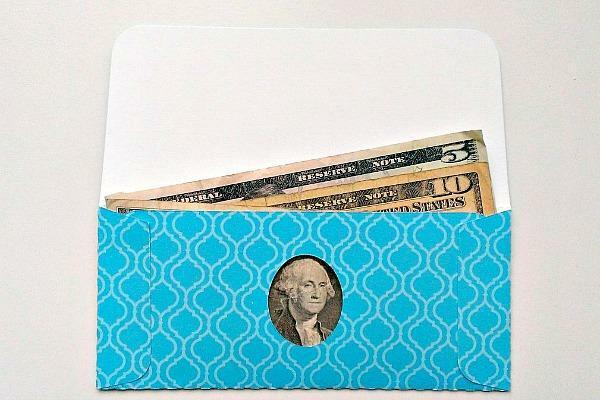 You get 4 assorted envelopes just like in the images.